Every year in December, members of Pax Christi Chorale don their reindeer antlers and colourful sweaters, and dig out well-thumbed scores of Handel’s Messiah for a special performance just for children and families. Children’s Messiah introduces young audience members to a great choral masterwork and the joys of the collective live musical experience. The child-centred presentation inspires the youngest audiences in a one-hour interactive performance. Children are encouraged to sit up front to experience the intensity of orchestra and choir while soloists engage with them directly. Simple narration brings the story to life in young imaginations, and and sing-along carols provide the opportunity for all to participate. 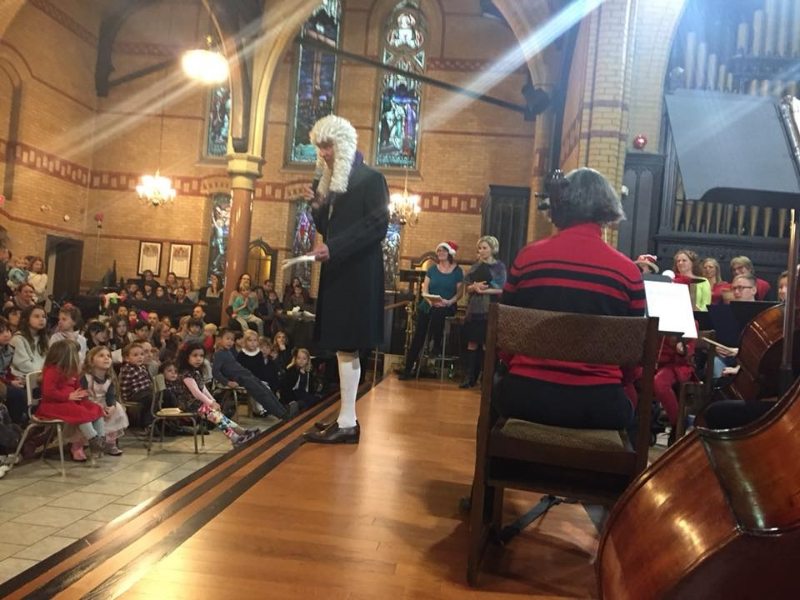 Children's Messiah is a unique event for children and families which aims to inspire a life-long appreciation of classical music, to empower children to exercise empathy as they make a positive impact on the lives of children in need in our community. Admission is pay-what-you-can at the door.